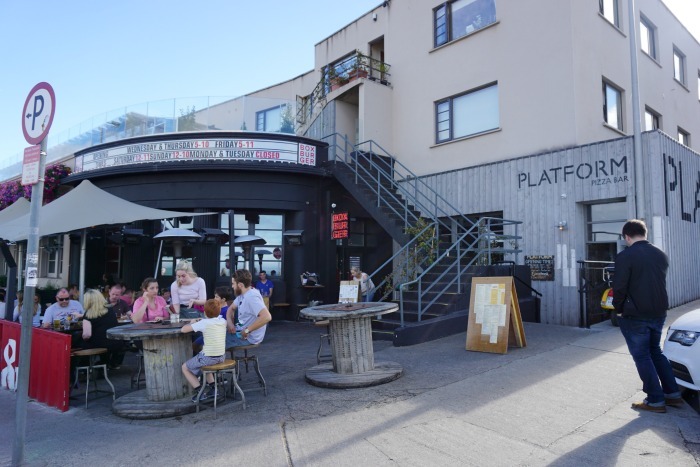 Just a few minutes walk from the Bray DART station (40 minutes from Dublin city centre) is a fun little place called Box Burger, a partner restaurant with Platform Pizza bar. BOTH places cater to gluten free folks, vegans, and vegetarians. The coolest part? You can order from both menus when sitting outside. Pizza AND fries? Yes please!